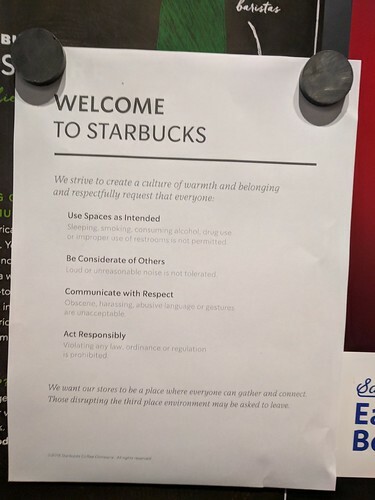 Right after the Starbucks half day shutdown training for bias training I saw these signs pop up in my local Starbucks. I think this is interesting. 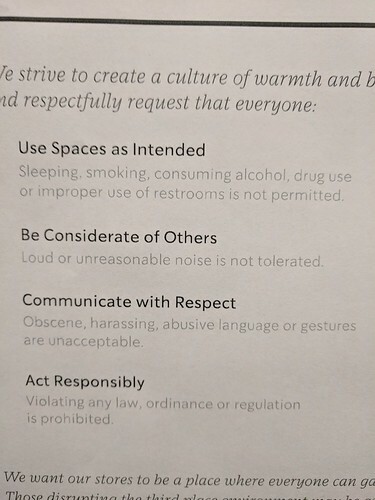 It lays out why you can be kicked out of Starbucks. I wonder how people feel about this.